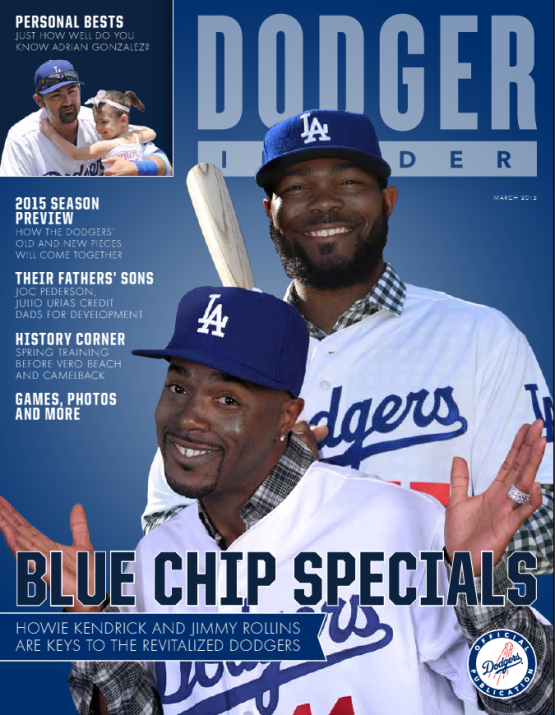 The first issue of Dodger Insider magazine is coming out soon, and it includes both Howie Kendrick and Jimmy Rollins on the cover. Check it out above. Jon Weisman at Dodger Insider shares some highlights of what's inside, here. Who'd a thunk that the Dodgers would win the Grammy's? But they did, and it was all thanks to Mastodon guitarist Brent Hinds. 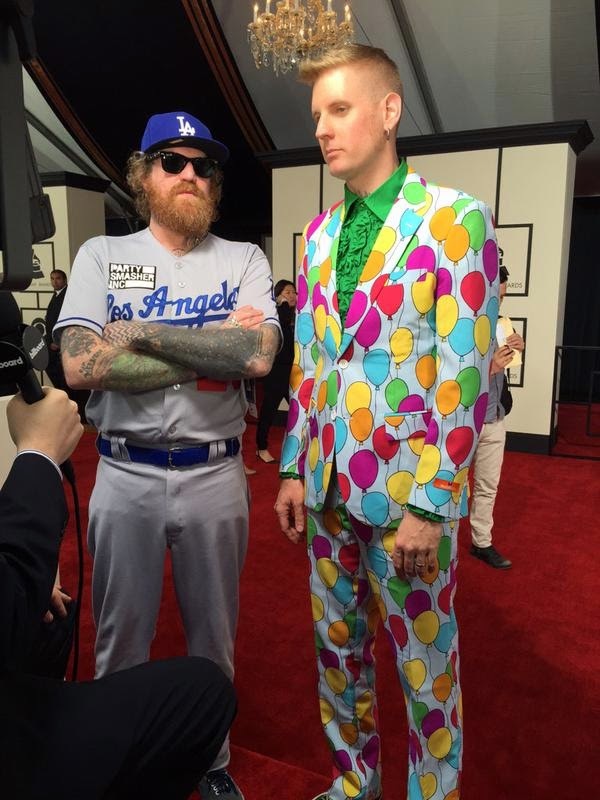 He attended this past weekend Grammy awards wearing a full Dodger uniform. Check out a pic of him with drummer Brann Dailor, via Eric Alper on twitter. Unfortunately, they didn't win a Grammy for Best Metal Performance of the year. Via Eric Stephen at True Blue LA, "Dodgers prevalent at Hector Olivera showcase in Dominican Republic." Of all the teams at the showcase today, the Dodgers had the most notable presence. Dodgers vice president of baseball operations Josh Byrnes, VP of amateur and international scouting David Finley and director of player personnel Galen Carr were all there. Via Jonah Keri at Grantland, "Baseball’s Worst Contracts." Andre Ethier's deal with the Dodgers ranks as #9 on his list. Ethier was a good hitter when the Dodgers dropped a five-year contract into his lap in June 2012, but he wasn’t particularly good at anything else, making the extension a puzzler at the time, and a decision that has looked worse with each passing day. Vie Eric Stephen at True Blue LA, "Dodgers sign B.J. Rosenberg, Ramon Troncoso to minor league contracts." BTW, the Dodgers are currently hiring for seasonal/part-time work for the upcoming season. Have you ever wanted to be a Dodger ball boy/girl? Go here for information. Are you interested in wearing the Dodger bobblehead costume at games? Go here for information. Do you want to be a Dodger Blue Crew Member? Go here for information.